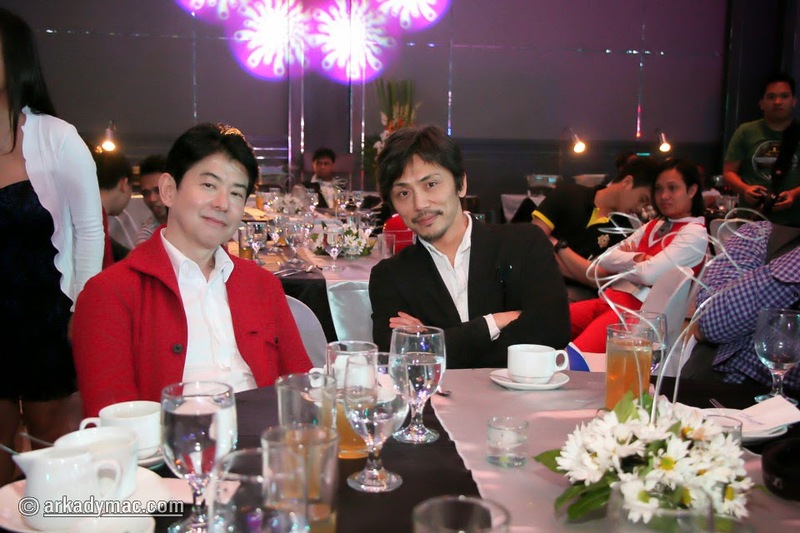 Nostalgia Analysis: Red Mask and Five Blue at the Henshin Con Launch Party! While it was too bad I couldn't go to the Henshin Con Launch Party 2015 even if I could afford the VIP ticket (PHP 2,500.00) to get to the party, food, drinks and of course meet and greet, I am still happy nonetheless for people who got to meet them. People know by know that Takeru/Red Mask is my favorite in Maskman and Ken Hoshikawa/Five Blue is my favorite in Fiveman. As a 90s kid (now 30 years old and still single), I would like to express my feelings here and for other who were able to be there. For nostalgia, I remembered watching Maskman badly dubbed on IBC-13 (which sadly NEVER showed the finale) and Fiveman on ABC-5 before it became TV-5. The venue of the event was in One Espelade in the Mall of Asia in Manila. Fortunately the event went on and no Filipino ultranationalist was able to cause trouble. Pictures were retrieved from here. Two of my favorites at the dinner table... too bad I wasn't there but lucky for the others! How Ninninger Is Treating Me So Far in Five Episodes! 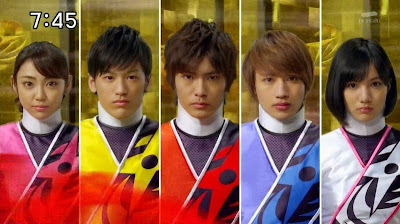 While I may not make weekly reviews (well as you know, I have already moved on with other stuff but I still like Sentai but not as much)... but Ninninger has left me with several emotions... after my first impression, here's what I think. Megaranger: A Mega Graduation Series For A Team of Teenagers! Megaranger itself is one amazing Super Sentai series and I can dub it as a masterpiece. After the horrendous failure called Power Rangers Megaforce, I am tempted to write this entry on Megaranger, the one true Mega series. 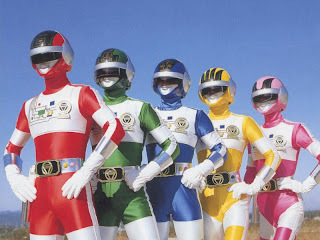 Megaranger was a series that aired from February 14, 1997 to February 15, 1998 which was trying to do some tribute to the Hirohisa Soda era while having some elements from the Sugimura era. The whole show in itself was indeed one Mega-series and I'd love to talk how it was a Mega Graduation for a team of teenagers. Sentai Rambling: Even Super Sentai Villains Have Standards Huh? Well even one of my favorite villains Radiguet had standards... whenever he uses humanity's stupid decisions to justify his sinister actions... again it's double standard! Super Sentai villains or any villains in Tokusatsu (even Power Rangers) would have the "Even Evil Has Stantards", a trope I have ignored so much for years. So what does it do? I would talk about some Super Sentai villains who showed the trope "Even Villains Have Standards" Or "Even Evil Has Standards". For Bioman, it has the cool techno design but remember I may just be Great Professor Biased here considering Bioman was my first Super Sentai viewed as a child. Again, I do love the techno-designs. Maskman also had some neat designs. I always thought of them as cool when I was a kid and I still think of it likewise until now. Liveman had a really cool set of animal designed costumes. Here's a picture of Reiko Chiba, Takumi Hashimoto and Aohisa Takayasu at the Lexington Comic and Toy Convention. 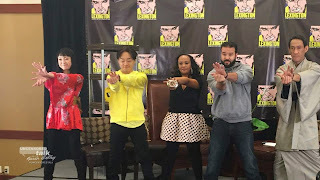 They are with Karan Ashley (in the place of the late Thuy Trang) and Austin St. John who met Yuuta Mochizuki at the Power Morphicon 2014. How do they explain the appearance of these three Zyuranger cast members and having a warm reception with Power Rangers cast members? Here's a picture of Catherine Sutherland-Chilson and Reiko Chiba-Kirihara together, both who wore the Ptera Ranger suit. Okay I'm again having my biases since I prefer Amy Jo Johnson-Giner over them in terms of acting (but both still did well for their roles). Again, I wish there will be an event where both Amy Jo Johnson-Giner can meet with Reiko Chiba-Kirihara. Sentai Rambling: My Comparison of Zyuranger and Abaranger! While watching Abaranger and having proudly placed it in my list of Sentai series I watched from start to end, I felt like rambling on the differences between the two dinosaur Super Sentai. So it's pretty long so bear with me and again, warning some spoilers. So let's get started shall we? So I started to think that Zyuranger was in the 90s (1992) and Abaranger was from 2001-2010 and it took place in 2003 so the mood matters. While both are dinosaur Super Sentai yet the are unrelated, operating in their own separate continuities while the characters got jumbled into the what if Kyoryuger (I HATE MENTIONING THAT NAME) vs. Gobusters movie. Wishful Thinking: Why I Think Naruhisa Arakawa Not Yasuko Kobayashi Should've Been ToQGer's Headwriter! It's no secret that I do have my disappointment with ToQGer. At this point, I would blame Toei's staff for not considering the writer of the series or they haven't looked back at every writer's strengths and weaknesses. Knowing the right person to assign for writing a certain Super Sentai season can have great effects on the show. Oh no! Who is the strange villain in the shadows? Megaranger itself was one amazing season. It was the first season to try and deal again with the science theme on focus after the Hirohisa Soda era which introduced Bioman (robotics vs. life), Flashman (manipulating life) and Liveman (good vs. evil use of technology). The whole idea of Megaranger was bordered on science. 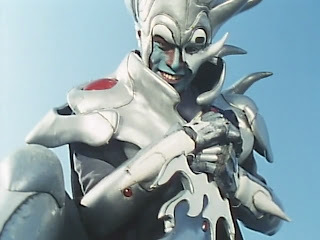 Super Sentai seasons are usually known for introducing a game changing villain and Gurail was one of them. He was sent by the ruler of Nezire, Javious I to keep the invasion team on track. Gurail was introduced in Megaranger episode 19 of Megaranger. I thought he really looked frightening, he was one sadistic creature and I would admit, he has a very creepy laugh and mysterious feel. At the same time he also feels like the Scott Evil of Megaranger's villains considering that he always had better plans than most of his comrades. I would like to ramble on Shinkenger and ToQGer for these reasons. ToQGer had the same head writer (Yasuko Kobayashi) and producer (Takaaki Utsunomiya) but it resulted to something that I couldn't take. This may be very unpleasant so please bear with me. I would start my own talk about how Shinkenger succeeded and ToQGer failed. It may contain my biases considering Shinkenger is the very first Sentai I watched from start to end, head-written by Yasuko Kobayashi though as of late, my favorite work from her is Mirai Sentai Timeranger and second is Seijuu Sentai Gingaman. I will admit watching more Sentai shows, admitting I was pretending to be a know-it-all before and now admitting my fault is sort of like me re-educating myself as a writer and a person. So going on with this lengthy Sentai rambling this time around.... it's time to read my opinions. 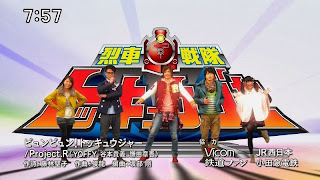 So I'll be presenting my personal and final thoughts on ToQGer as a Super Sentai season. Okay it's been two episodes of Ninninger (which it's too early for me to judge the show) but I'll be giving my thoughts on ToQGer (and maybe I'll soon ramble on Yasuko Kobayashi as soon as I'm done with Gingaman so I hope the subs will d be done). Ohranger: A Massive 90s Toy Commercial Super Sentai Season! As of current, I have seen 26 subbed episodes of Ohranger. 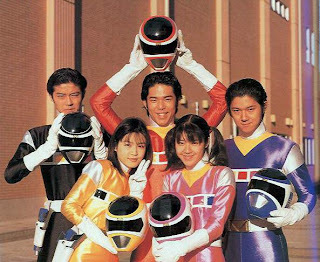 But I'd like to talk about how Ohranger itself was a massive toy commercial season. 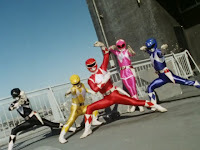 As we know, Ohranger was aired during the March 3 1995 and in March 20, 1995 it happened. Ohranger was airing during that time which prompted a sudden change of tone. At the same time, the Super Sentai season became such a huge toy commercial than its predecessors. Early on, Ohranger had two main finishing weapons namely the Big Bang Buster and the Giant Roller. To be honest, I saw no real plot other than an attempt to increase merchandise when Ohranger so fastly introduced the Giant Roller, rendering the screen time of the Big Bang Buster to be so short. To be honest, I found it pointless (plotwise) to be switching in between these two except for the sake of selling toys! Sentai Rambling: Super Sentai Series I've Watched From Start to End Which I Dub as Masterpieces! Okay let's get this straight, this isn't facts but just my personal (and somewhat) biased opinions. Before reading this, take note that I haven't seen all of Super Sentai yet. Meanwhile, here's the list ofSuper Sentai series I've watched from start to end that I have dubbed as masterpieces. So this list may change overtime but meanwhile here's my current list. Remember that my opinion on Super Sentai masterpieces is subject to change within a certain time period for Super Sentai series I believe can be considered as "Super Sentai masterpieces".